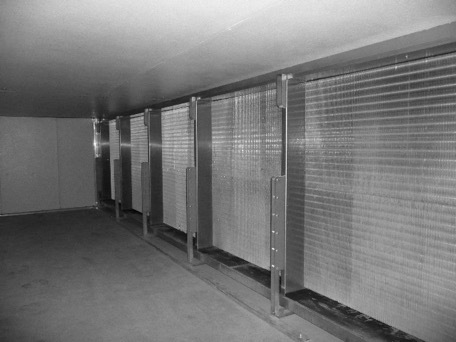 Highland Refrigeration engineered and built a complete skid mounted refrigeration system ready for easy hook-up to Independent Packers latest triple cell blast freezer (120,000 lbs/24hr of total freezing capacity) system located in Seattle at Pier 91. 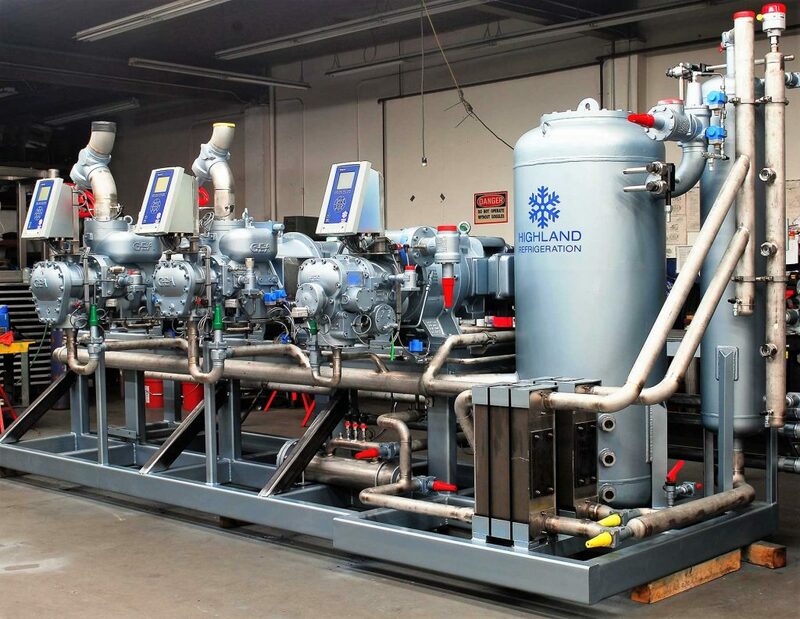 Highland designed and manufactured 4 compact flooded chiller RSW systems (320 TR each) for deck mount operation, ready for easy hook-up to the engine room mounted compressors. 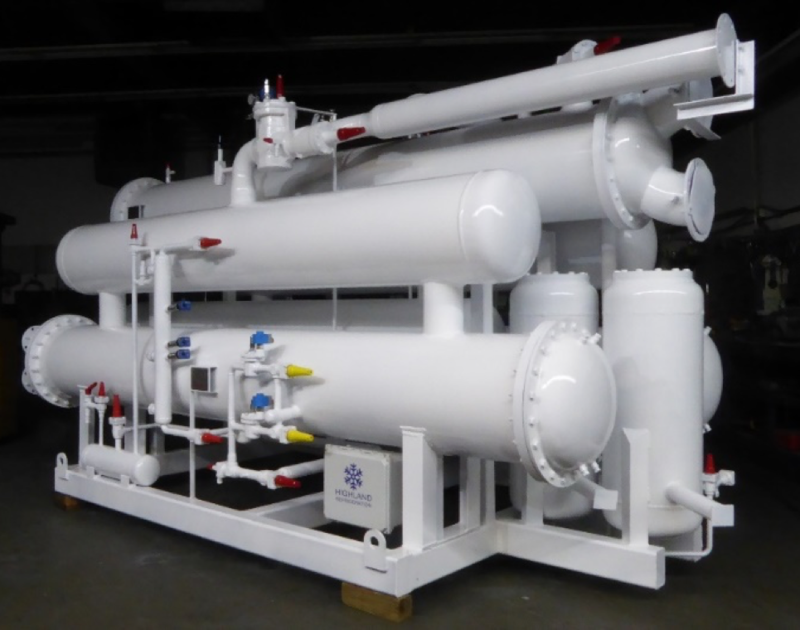 Highland designed and delivered the ammonia refrigeration system and plate freezers for Seafreeze America for a capacity of 32,000 lb/hr frozen at sea. 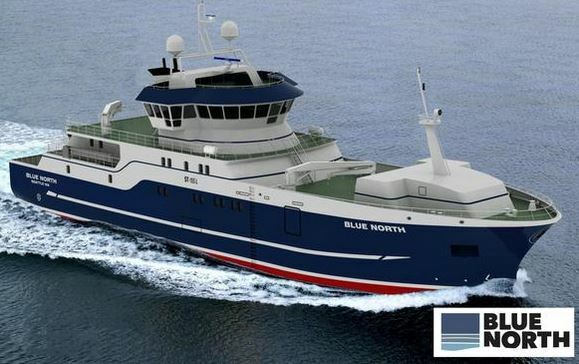 Highland engineered and supplied the self-contained compressor package and cargo hold cooling units for the Blue North vessel designed by Skipsteknisk AS of Norway. 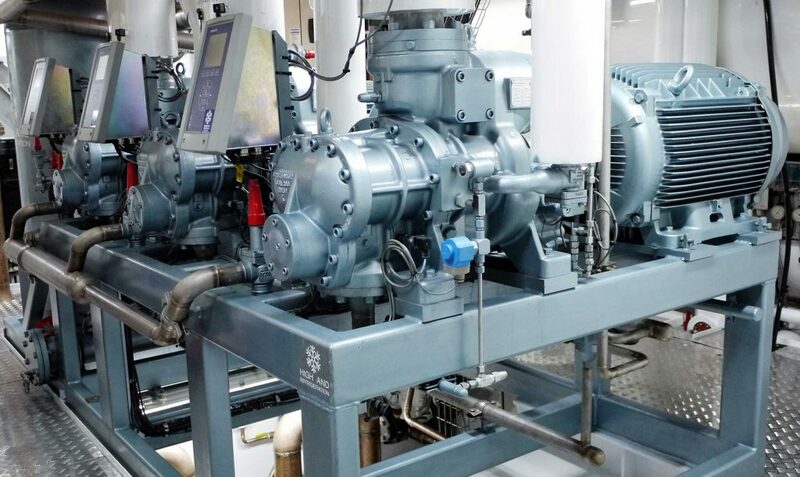 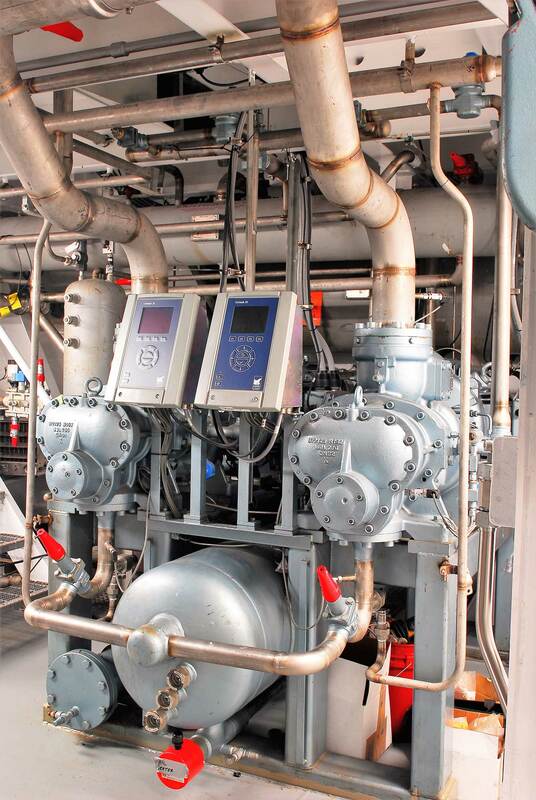 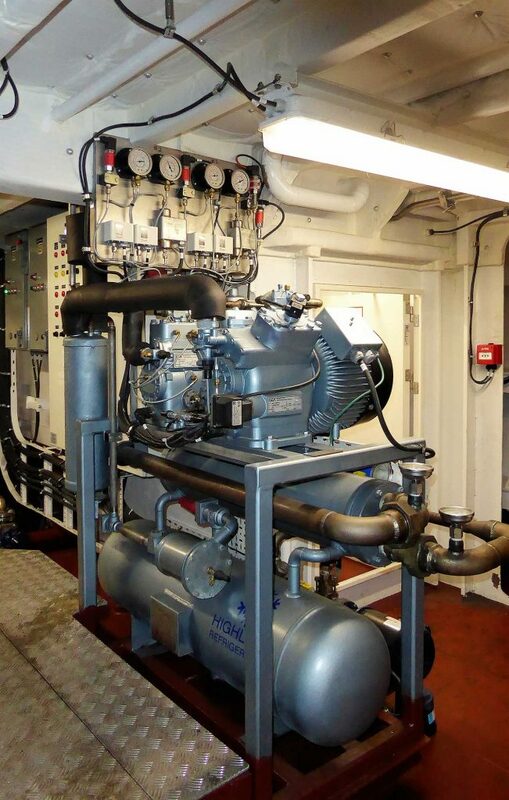 As marine and industrial refrigeration systems operating on HFC/HCFC Freon approach the chopping block because of the refrigerants becoming phased out, Highland is ready to engineer and build your next refrigeration system using environmentally friendly R-744 (CO2) refrigerant operating at subcritical and transcritical conditions. 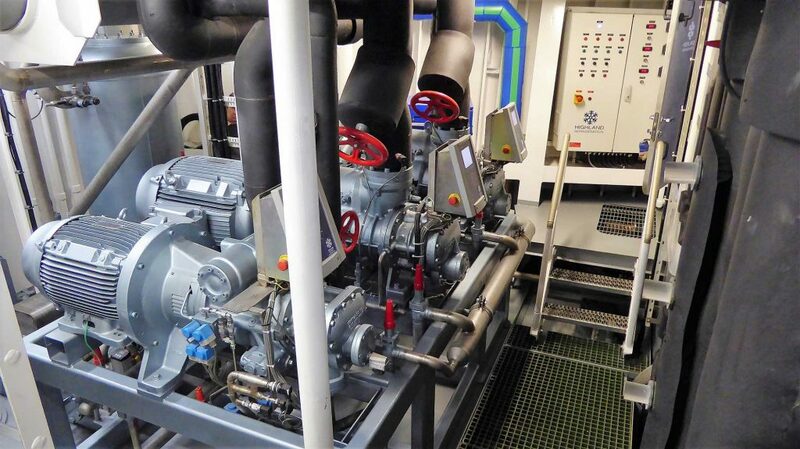 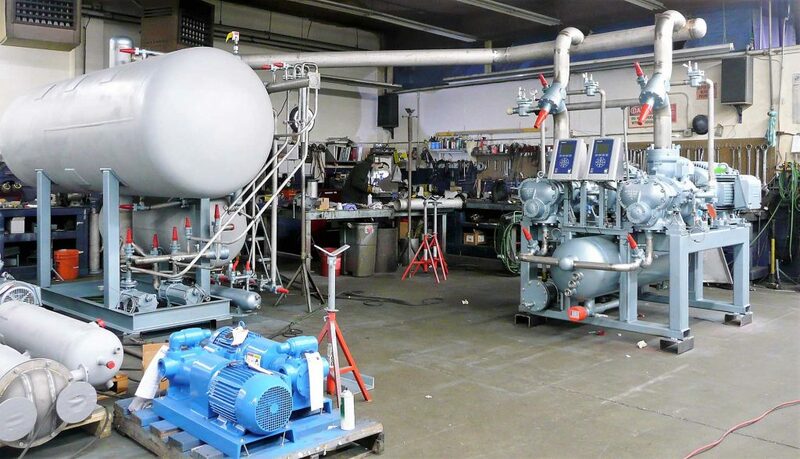 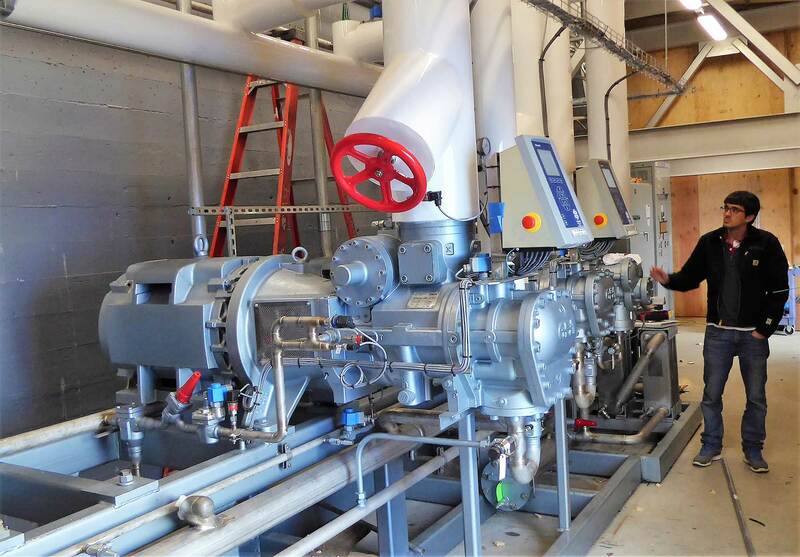 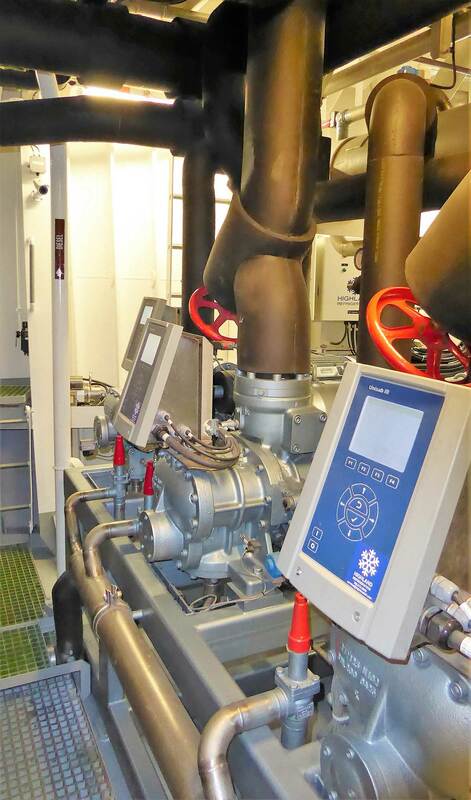 Global Seas has ordered their first compact transcritical 120TR RSW system using CO2. 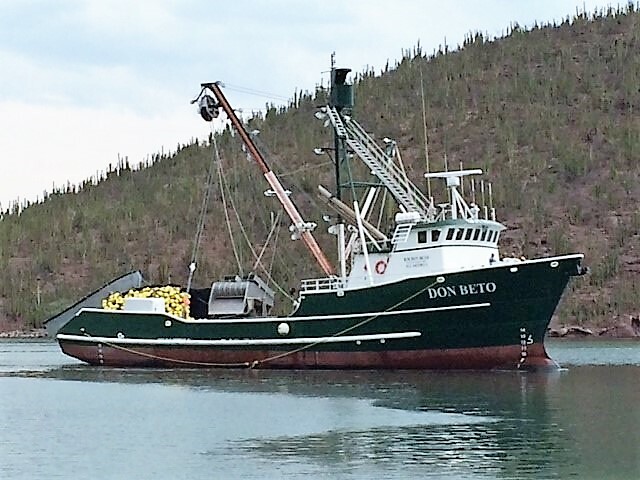 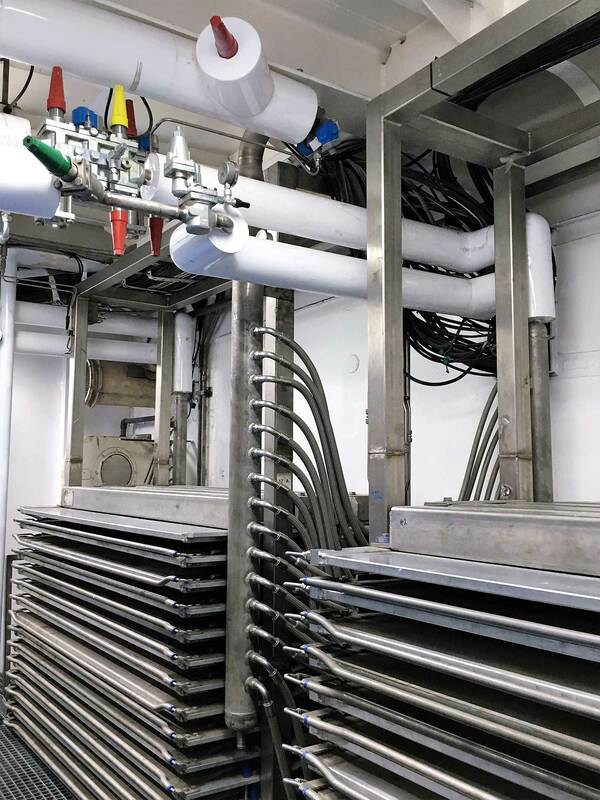 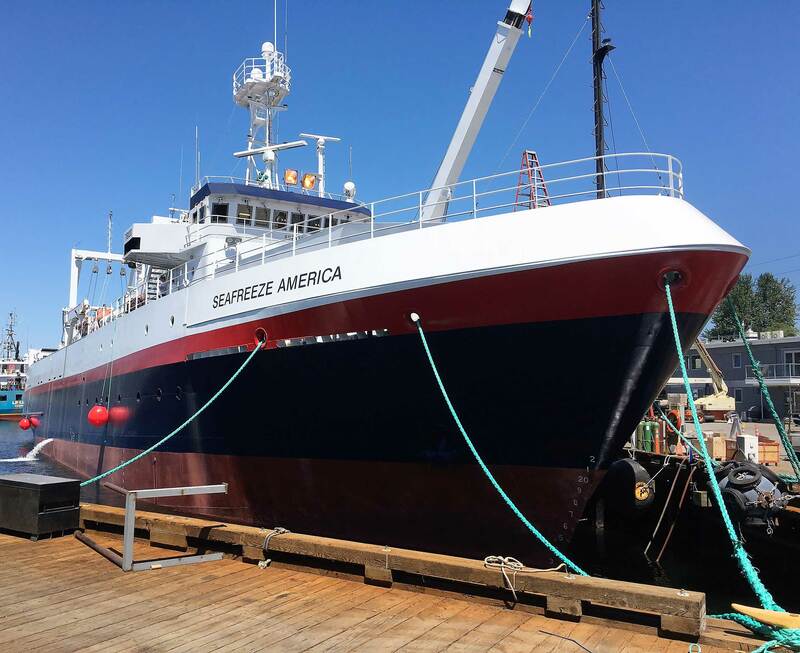 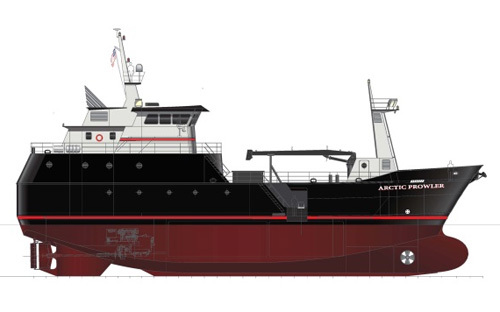 Highland engineered, build, and supervised the installation of the self-contained, compact refrigeration system for the Artic Prowler vessel built at Alaska Ship & Drydock in Ketchikan, Alaska. 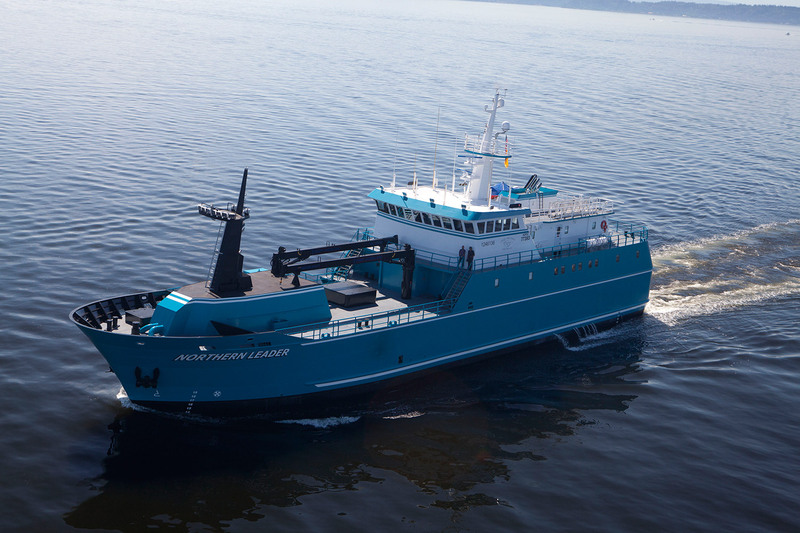 Highland engineered and installed the freezer and cargo hold refrigeration system for the Northern Leader, a longliner/processing vessel designed by Jensen Maritime. 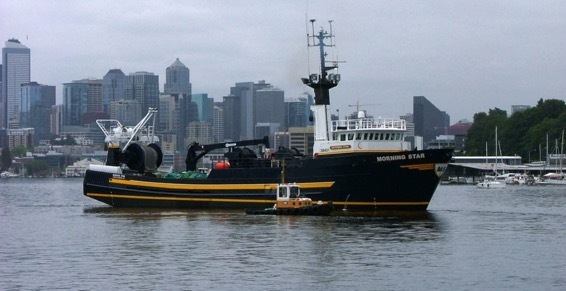 Highland designed and delivered the third compact, self-contained, high capacity RSW system utilizing twin 100 hp screw compressor refrigeration system for a brand new seiner built in Mexico using energy efficient, environmentally friendly ammonia refrigerant. 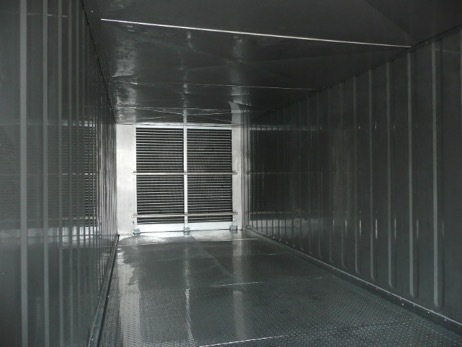 Highland Refrigeration’s blast freezers are produced from new 40’ high-cube refrigeration container with stainless steel interior and removable food grade aluminum floors, modified to create a blast freezer with stainless steel air-guides and a false ceiling. 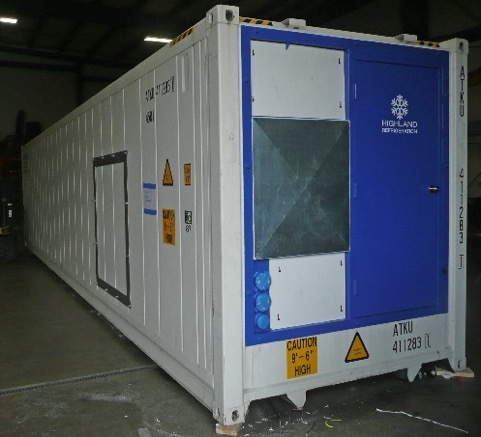 We design and build blast freezers for a freezer capacity range of 20,000 lbs/24hr to 72,000 lbs/24hr. 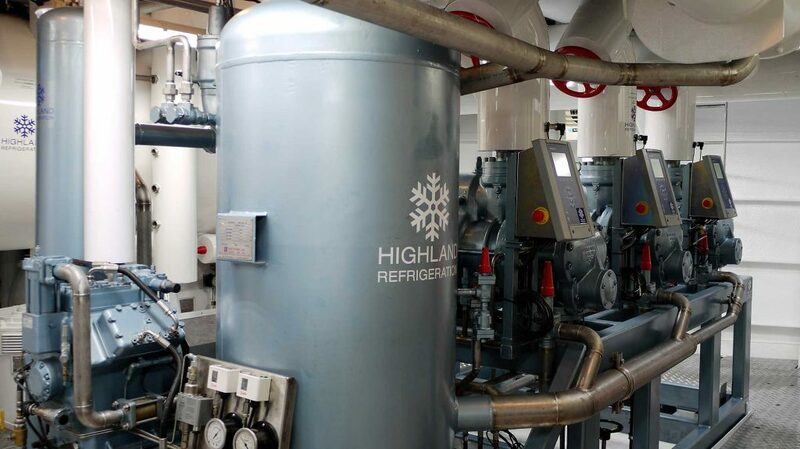 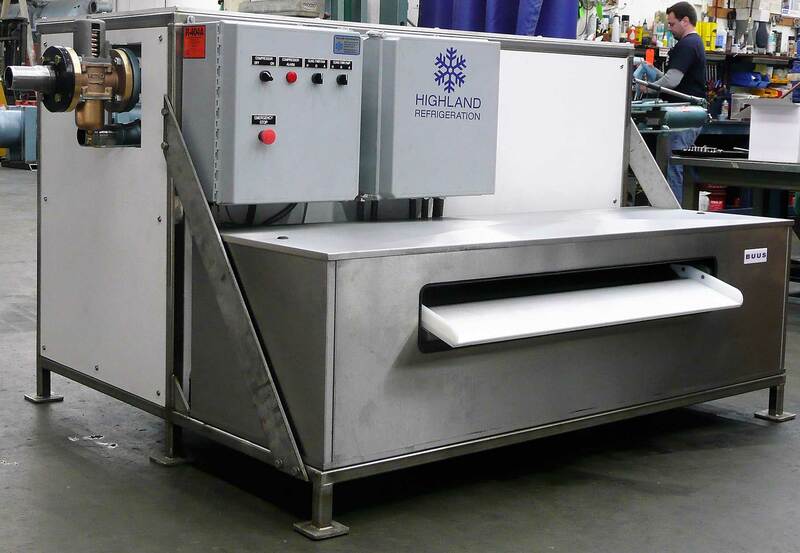 Highland continues to deliver complete self-contained ice machines on a monthly basis. 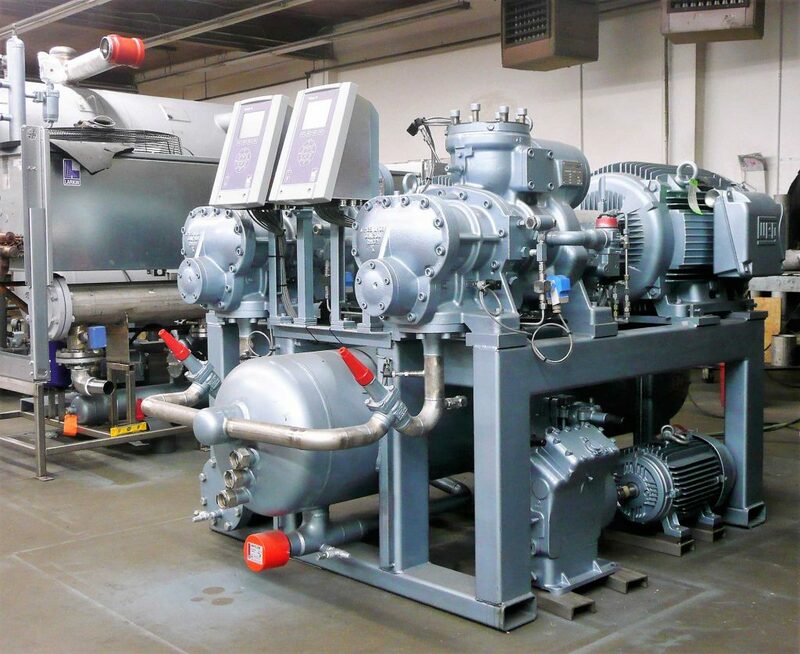 Our ice machines arrive at the customer ready to make ice at a push of a button after connecting the power and water supply. 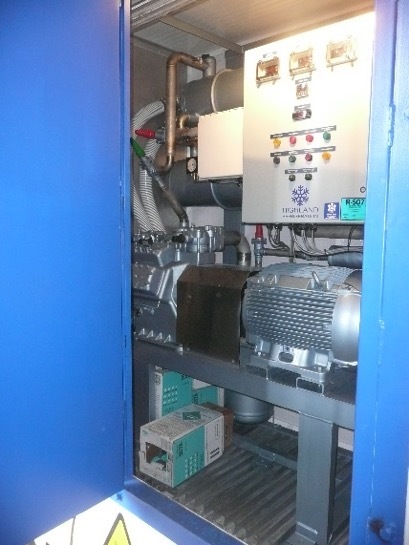 Here is Pacific Seafood’s latest flake/slurry ice machine for a capacity of 30 ton/24hr. 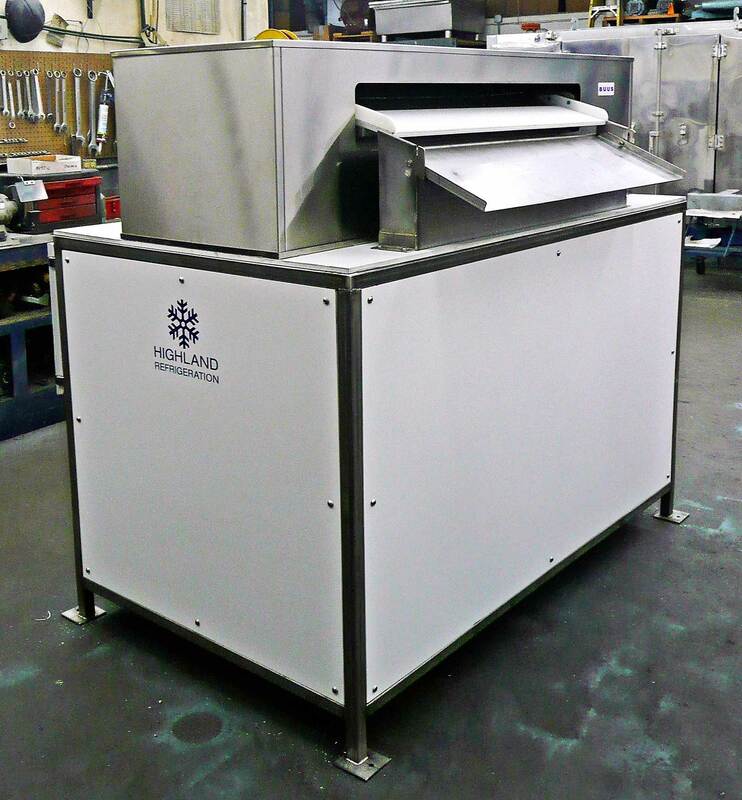 This is a special designed, low- profile, self-contained flake ice machine for easy placement on top of an ice storage.